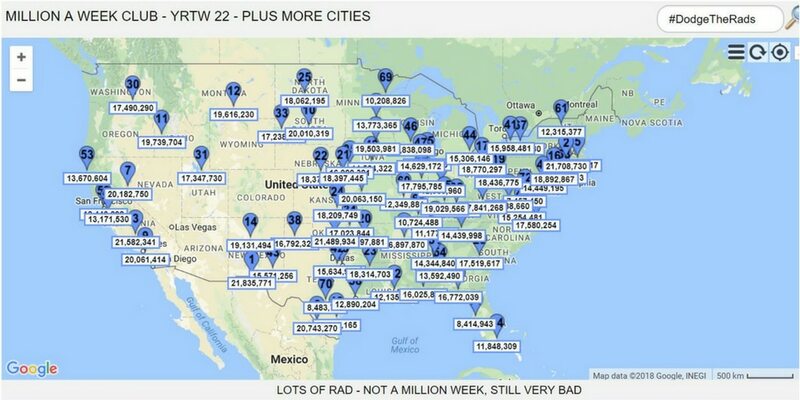 Million Rads a Week Cities. Not a Million a Week; but still Very Bad. 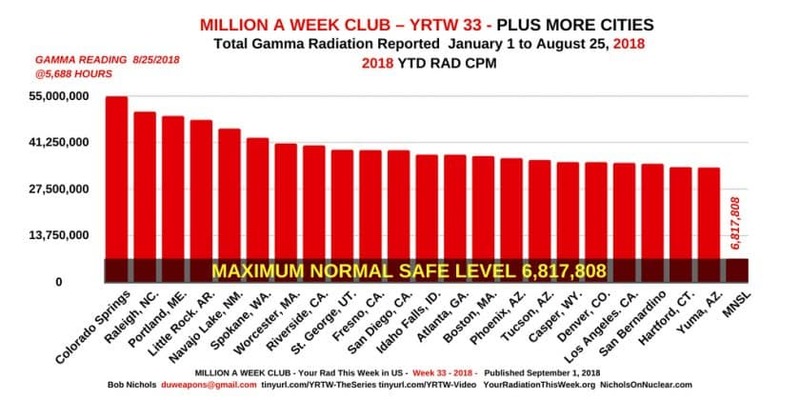 Within minutes or hours of publishing this list of cities over 22 Million Counts of Radiation per minute YTD, five more cities will Zoom past 22 Million Counts of deadly Gamma Radiation since January 1, 2018. 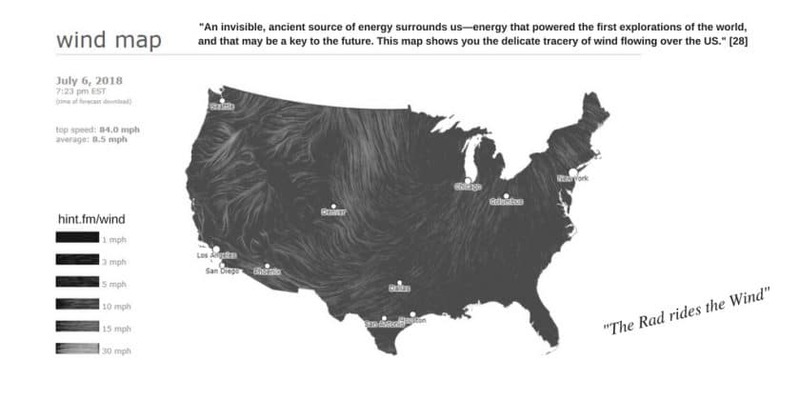 Killer cell assassins, like Plutonium 239, and its brothers were never around. 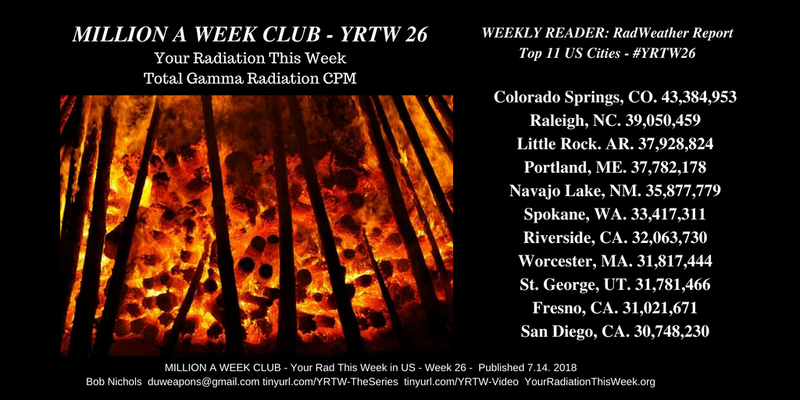 That will be 29 cities above 22 Million Rad Counts so far this year.